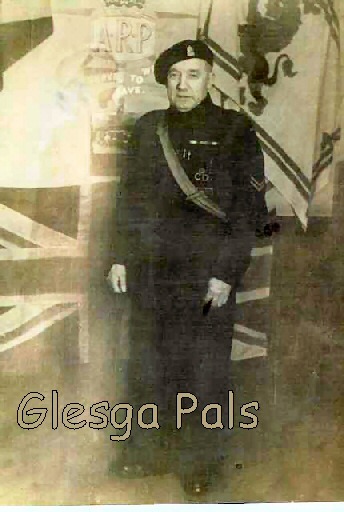 (ma mammy's daddy) frae Rutherglen Road He was in the ARP during the war. He was born 1882 so would have been around 60, give or take, when this picture was taken. 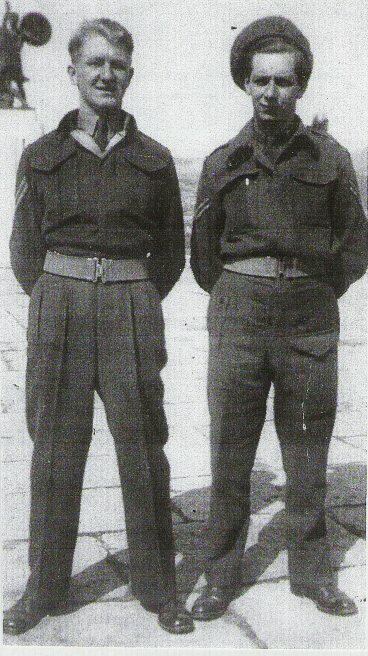 Brigton boy Peter is on the left.... proudly wearing his Canadian battledress which had a faint herringbone pattern, a finer material than the course British uniform his pal is wearing. Castello di San Giusto in Trieste,Italy in the Autumn of 1945. .....daen his stint in the army 18 year auld taken in Nicosia Cyprus 1955. 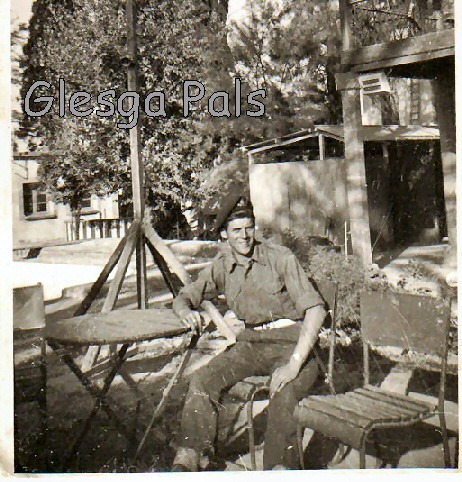 Lucky (Billy Devine) wis in the Royal Artillery based in Troon then shipped out to Cyprus during the Suez crisis. .....my Grandfather, Charles Goldie and his brother Thomas's names are on the Rutherglen Cenotaph. Both fell in the Great War. This is a photo of my grandparents Charlie and Alice Goldie,. I am called after my grandmother, Alice McHugh...who was left to bring up a large family on her own after he was killed. He was born in Rutherglen but when they married they lived in Adelphi Street then Norman Street, Bridgeton. This photograph recently re-surfaced after being "lost" for many years. 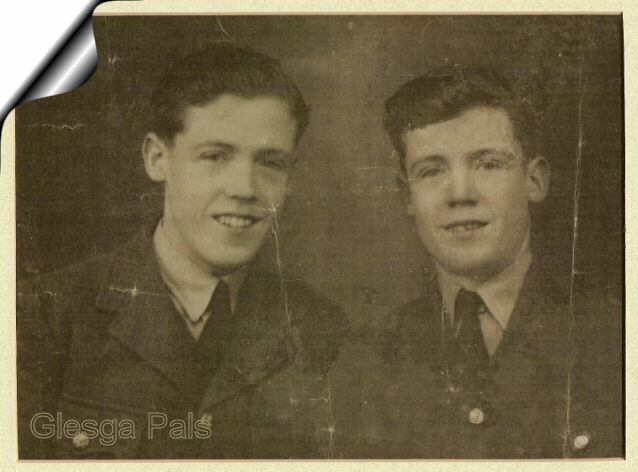 Pat and his twin brother Shug in their uniforms taken at the State Studio in Bridgeton Cross, before they left to join the RAF. 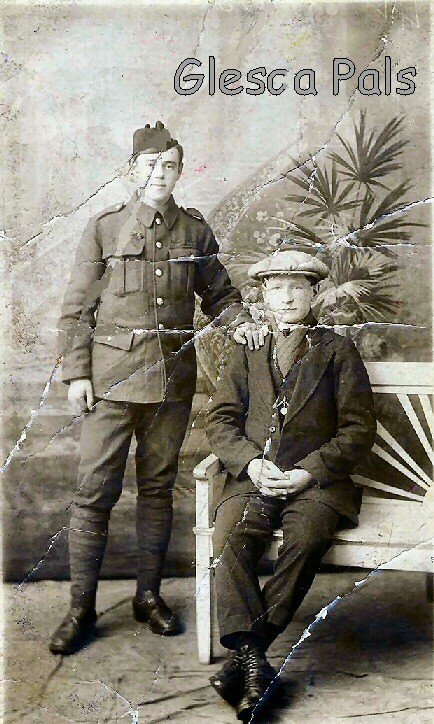 They were 17 years old and at the time and lived in Stamford St. Barrowfield.